Set of 6 cameras hardware-synchronised connected to 2 computers for image grabbing. 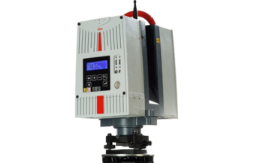 The HDS6200 is a portable, phase based laser scanner. With a range of approximately 80m the TLS can acquire data at a rate upwards of a million points per second. Initial processing can be undertaken in Leica’s Cyclone software with data able to be exported for a range of other software including ArcGIS and AutoCAD. Built in WLAN allows for operation through a phone, tablet or laptop. 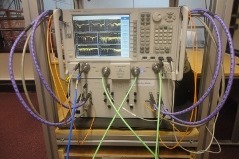 Ultra wideband localisation is performed in different environments for testing its precision and accuracy. 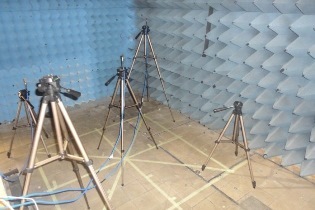 The anechoic chamber is one of the environments where these tests are made. USRP N200 and Radio Frequency data board XCVR245 designed by Ettus Research to sense the frequency spectrum from 2.4-2.5 GHz and from 4.9-5.9 GHz. The pulseEKKO PRO GPR system allows for imaging of the subsurface across a variety of bandwidths. The three antennas that we have available are 50MHz, 100MHz and 200MHz. The fully bistatic design allows for advanced survey types such transillumination and multi-polarization. 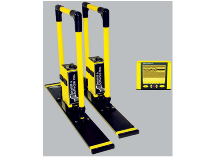 As well as the handles there is a SmartCart which the system can be mounted allowing for rapid data collection. Nao Robot is a programmable and autonomous humanoid robot produced by Aldebaran Robotics. Ultra wideband localisation can carry signals through many obstacles that usually reflect signals when the bandwidth is limited. Agilent 4 Port PNA-X is used for the sensing at higher power that makes indoor ranging and localisation more accurate. 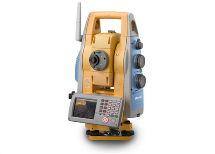 The Topcon IS 203 is a scanning, robotic, reflectorless imaging station which allows for high, mm level, precision 3D measurements. It combines advanced imaging and high-accuracy surveying, incorporating real-time field imagery with spatial data. The auto tracking feature makes this ideal for one man surveys. Set of 4 VisioBoxes for audio recording with two or three stereo microphones. 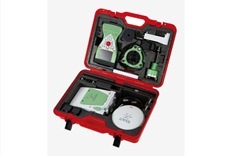 Combing the Viva GNSS GS10 base station and GS14 rover the Leica RTK allows for data collection at centimetre accuracy. The system works across the GPS and/or GLONASS satellite constellations. The system is designed to be used in harsh environments and is rated against dust, water and temperatures between -40°C - +65°C. 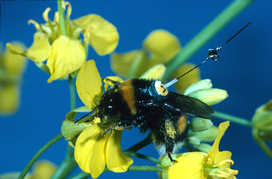 A harmonic radar is used to track bees' flight paths. 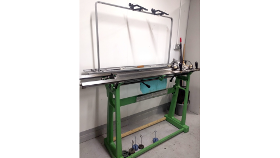 Electronic textiles can be constructed using our semi-industrial digital embroidery machine, sewing machine, flatbed industrial knitting machine, and 16 shaft table loom.